At Yoga Den Goderich we are committed to spreading the knowledge and love of yoga to all students. We provide a space for our community to explore a practice orignally intended for all. We are located at 68 Courthouse Square in Goderich, ON. We are a short walk from the beautiful Goderich beaches and right across from a downtown park perfect for strolling and picnics after class. Clare started her yoga teacher journey by becoming certified as a Yoga teacher in Goderich, ON. Starting with a Kundalini Yoga certificate in 2015, she continued her education with Deva Tree yoga school in London Ontario in 2016. Opening Yoga Den and Sunset SUP 2016. With over 500 hours of yoga teacher training, she is always excited to learn more about human anatomy. Clare loves to teach different styles of yoga, but her favourite is restorative and vinyasa flow. One of the unique things about Clare's yoga practice is that she brings it to Lake Huron with the original Sunset SUP (stand up paddle board) Yoga. Clare is trained through the World Paddling Association to provide safe paddling instruction and has also taken life guarding courses to ensure the safety of her students. She is a brand ambassador for the company Pulse SUP and competes in various Stand up paddle board races including the Lake Ontario Crossing and the SUP series Ontario races. Cultivating an energetic awareness is what Shannon Hugman is all about. The planets are not doing anything to us; but when we have an awareness of which way these energetic currents are flowing we can use our free will to align with them. Shannon teaches people how to interpret astrological energies while also guiding them to listen to their own vibrations. Shannon has been working as a full time astrologer for the past 5 years. Over this time she has worked with thousands of people one-to-one plus she has hosted live events in person and online. ​Shannon has had hundreds take her online course: The Art of Astrology Online Academy. Shannon also utilizes HeartSpeak (www.heartspeak.com) emotional clearing modality. She is a reiki practitioner along with a movement and meditation guide. 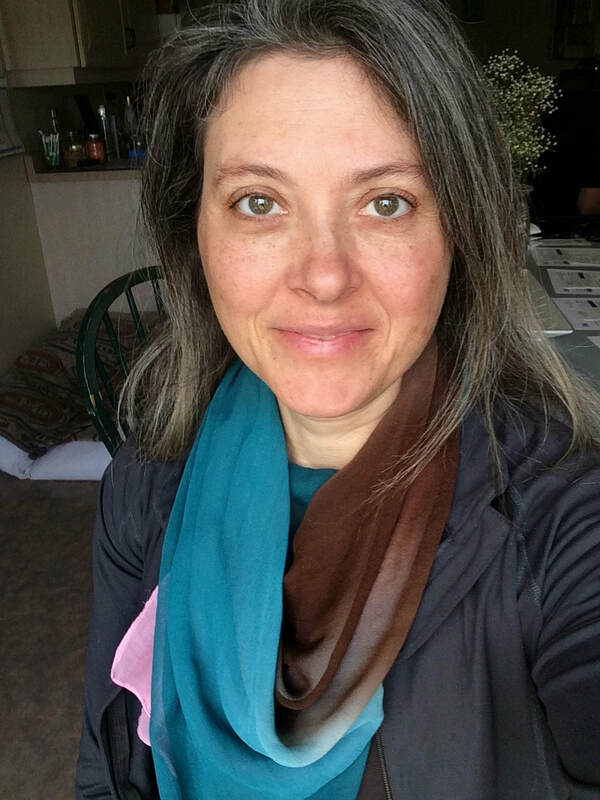 At the Yoga Den you will find Shannon facilitation events such as Full Moon Yoga, New Moon Restoratives, Follow the Moon Series, and the Art of Astrology Weekend Workshop. In 2019 Shannon is excited to team up with Amy Macdonald (a registered dietitian) and Clare Day to provide body positive events for the community. Something she really wish she had had access to in her youth. Shannon receives her Yoga Teacher Training at Deva Tree in London, ON. Marie loves working with women who are seeking to reconnect to their bodies and calm the mind. Her approach is rooted in classical Pilates but adds a modern twist. She completed a mat pilates certification through East to West Yoga & Pilates in 2011, after practicing Pilates since 1998. Maria is currently immersed in a Pilates Reformer certification through the Balanced Body University. Maria holds a certification as a holistic health and wellness coach, with a focus on healthy recipes, self-care and overall well being. In 2017 she created the Wellness Potion Apothecary. She makes clean organic face and body products that are free from harmful chemicals that are safe for the whole family. Maria is on a mission to spread love, mindful movement, and the tools necessary for living a healthy well balanced holistic lifestyle. Melissa is a RYT (registered yoga teacher) and RPYT(registered prenatal yoga teacher) who resides in Egmondville, ON. She and her husband are raising a 6 year old sassy little man. Melissa has always known she wanted to teach. A natural leader since she could speak, Melissa was always choreographing her cousins, friends and sister in dances on the front porch of her parents' house. When she discovered yoga, she felt a connection she never experienced before. Some may say, she found her calling. After becoming a mother, she knew she wanted to use yoga as a tool to heal her body after pregnancy. She also knew if she needed this tool, other Momma's would too. It is her hope that she can help women who urn to be Moms, are about to be Moms and of course are Moms find a safe place in her classes, to be themselves and connect to others just like them. ​Melissa invites mothers to come to class to breathe, move or even sleep if needed. ​Are you a yoga teacher? Want to share a class or rent our space? ​Get in touch with us !